That Epic would find itself labeled a monopoly is in itself an extraordinary turn of events. In 2000, after 21 years in business, the company had only 400 employees and 73 clients, and did not appear on a list of the top 20 hospital EHR vendors. Its big break came in 2003, when the 8 million–member Kaiser Permanente system selected Epic over two far better known competitors, IBM and Cerner. The cost to build Kaiser’s electronic health record: $4 billion. Today, Epic has 8,100 employees, 315 clients, and yearly revenues of approximately $2 billion. The system is now deployed in 9 of the US News & World Report’s “Top 10” hospitals. In 2014, the company estimated that 173 million people (54 percent of the U.S. population) had at least some medical information in an Epic electronic record. Epic Founder and CEO Judy Faulkner’s vision, built on several central tenets, has been vindicated many times over. The first principle was that the winning EHR vendor would be the one that solved the most problems for its customers. While Apple’s App Store has made a modular environment seem feasible and even desirable, most healthcare decision makers want a single product that does everything they need right out of the box (physician notes, nursing notes, drug ordering and dispensing, billing, compliance, and population health) and does those things everywhere, from the newborn nursery to the urology clinic to the ICU. In his 2015 State of the Union address President Obama announced the launch of his precision medicine initiative, an audacious initiative to address these issues. In a nutshell, precision medicine customizes health care; That is, medical decisions are tailored based on the individual characteristics of the patients, ranging from their genes to their lifestyle. To have a clear understanding of the relationship between individual characteristics of patients and medical outcomes, it is necessary to collect various types of data from a large population of individuals. The precision medicine initiative requires a longitudinal cohort of one million individuals to provide researchers with various data types including DNA, behavioral data, and electronic health records. Assembling such a large sample of many different data types proposes two unique challenges pertaining to healthcare information technology: interoperability and privacy. The federal government has already spent $28 billion to incent medical providers to adopt electronic health record (EHR) systems. As a result, almost all of the medical providers in the United States currently compile an electronic archive of their patients’ medical records. However, most of the EHR systems are not able to exchange information with each other. This is a strange problem in the age of information technology and Internet connectivity. There are a variety of technical and economic reasons, which make it especially complicated and difficult to solve. Rep. Mike Burgess (R-Texas) has released a draft bill entitled “ensuring interoperability of qualified electronic health records” in which interoperable (Electronic Health Records) EHRs are defined as those that do not block sending and receiving data to and from other EHRs and provide users with complete access to the captured medical data. 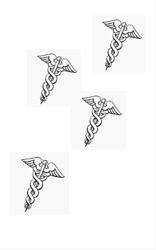 The draft bill proposes that detailed methods to assess interoperability be defined by a “Charter Organization.” According to the draft bill, this Charter Organization shall consist of one member from each of the standard development organizations accredited by the American National Standards Institute and representatives that include healthcare providers, EHR vendors, and health insurers. To keep its certification after January 2018, an EHR vendor should comply with the definitions of the Charter Organization, publish API’s to enable data exchange with other EHRs and attest and demonstrate that it has not willfully interrupted data exchange with other EHRs. The draft bill suggests that the Inspector General of HHS shall have the authority to investigate both EHR vendors and medical providers with regards to claims that they have interrupted interoperability. The proposed Charter Organization will not be successful. While your correspondent is tantalized by the prospect of healthcare consumers using mHealth apps to lower costs, increase quality and improve care, he wanted to better understand their real-world value propositions. Are app-empowered patients less likely to use the emergency room? Do they have a higher survival rate? Do they have higher levels of satisfaction? In other words, where’s the beef? Matthew Holt: The guys across town (Partners) ripped out all the stuff they’ve been building and integrating for the last 30 years and they decided to pay Judy Faulkner over a billion dollars. And you took all the stuff that you’ve been building for the past 15 to 20 years and sold it to Jonathan Bush for money. Does that make you a better businessman than they are? (Update Note 2/11/15: While I’ve heard from public & private sources that the cost of the Partners project will be between $700m and $1.4 billion, Carl Dvorak at Epic asked me to point out less than 10% of the cost goes to Epic for their fees/license. The rest I assume is external and internal salaries for implementation costs, and of course it’s possible that many of those costs would exist even if Partners kept its previous IT systems). John Halamka: Well, that is hard to say, but I can tell you that smart people in Boston created all these very early systems back in the 1980s. On one hand, the John Glaser group created a client server front end. I joined Beth Israel Deaconess in 1996 and we created an entirely web-based front end. We have common roots but a different path. It wasn’t so much that I did this because of a business deal. As I wrote in my blog, there is no benefit to me or to my staff. There are no royalty streams or anything like that. But sure, Beth Israel Deaconess receives a cash payment from Athena. But important to me is that the idea of a cloud-hosted service which is what we’ve been running at Beth Israel Deaconess since the late ’90s hopefully will now spread to more organizations across the country. And what better honor for a Harvard faculty member than to see the work of the team go to more people across the country?